Pakistan being a developing country has about 39% of its population living in multidimensional poverty. Leading many people to beg on streets. Beggary in Pakistan is not that much of a need rather it has become a profession. Beggary is one of the most low level and humiliating way adopted to earn money. A person has to have a very high level of tolerance and literally no ego to tolerate the bashing and insulting remarks of fellow human beings. Once they get used to the treatment they drift into the human genes like parasites and are passed from generation to generation. The ratio of street beggary is multiplying at a very fast rate. 25 million people from 170 million citizens in Pakistan are professional beggars, that is quite a shocking figure. A major part of which are Afghan refugees who lost their limbs during the war. The poverty has caused many people to commit suicide and sell their sons and daughters to huge begging groups. These groups act like the mafia where young men, women and children are given training on how to beg. Their bodies are mutilated just to make them seem more deserving and to pity the people into giving them money. These people live a life of luxury without having to work hard for their living. They feed on the rich people of the society and use their money to fund their own activities. The beggars are taught by their teachers and are provided with definite targets. The beggars earn about 150 to 200 rupees a day and then they have to give their earnings to the head of the mafia group. All of them are stationed in different locations. The leaders mostly spend the amounts on cigarettes and drugs. Not all of them want to be in this field. Many children and women are forced by their families and they get beaten if they do not return with some money. It may be not well known but some people take up begging because of religious teachings. Certain Muslim and Hindu religious leaders encourage begging and people follow them blindly into this affair. Many criminals find refuge in religious disguises and use that to influence others to beg. These beggars feed on the goodwill and sympathy of the citizens. Many women find them as blessings rather than nuisances. They consider them the easiest way to give charity. Such frauds deprive the actual people who really need the money from receiving any of the charity. The mafia takes up healthy individuals and then mutilates their bodies. Acid cigerrete burns, starvation, amputation and some are even blinded permanently. Many cases have been reported where the children are forced into this line of work. Haider a young man from Kasur has been caught up in these arrangements. Recently he has been seen begging at the Lahore railway station. The boy explained that when he was about ten years old, when he ran away from home. The mafia group took him. He ran from home again but he was again caught. The group took money from his family. 500 rupees or 1000 rupees. They told his family that they provide him a meal three times a day and took care of him. The mafia takes advantage and exploits the huge economic gap between the rich and the poor. No laws have been passed to stop such gangs who threaten innocents to work for them. Furthermore the severe poverty has also brought a lot of people to the streets and the high unemployment rates do not help either. 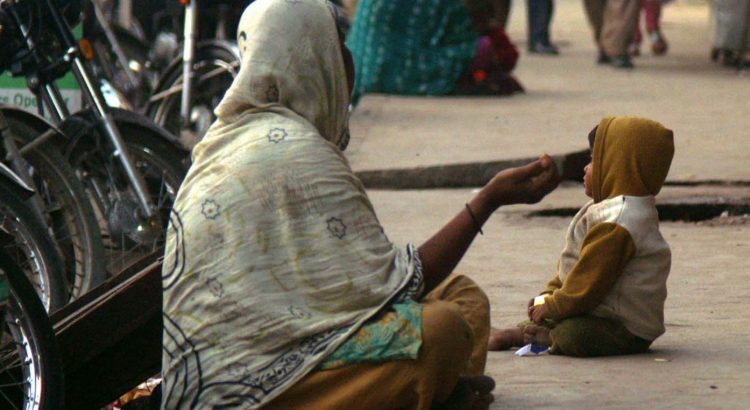 Beggary is a huge social problem in Pakistan which brings activities such as drug abuse and prostitution with it.